Hot town, summer in the city. Brisbane’s scorching summer days and balmy nights are back with a vengeance, giving us the perfect climate for icy treats to kick back with (read: excuse for daily dessert breaks). And now we’ve got a new local to do just that. 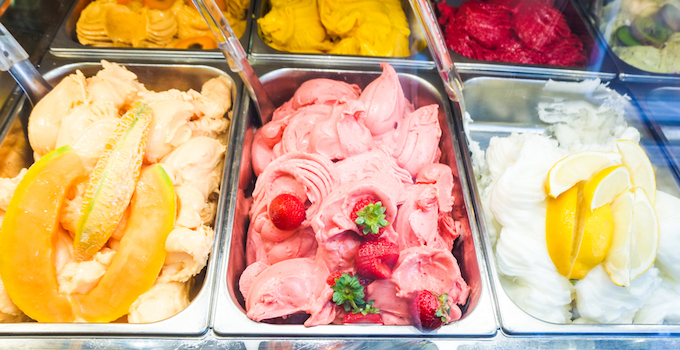 Say ciao to Coorparoo’s latest gelato destination, La Mimosa, serving up traditional Italian style delights – and you’ll discover more flavours than your regular supermarket freezer. I scream, you scream, we all scream for all the gelato. Bring the fam down for all those summertime favourites – hazelnut, chocolate, mango, pistachio, and coffee – and a few cheeky new offerings. Sweet-tooths will fall head over heels for the snowfall of flavours available, with offerings like strawberries and cream, stracciatella, spiced chai latte, and the sensational zuppa inglese (like an ice cream version of a trifle – it’s a Christmas miracle!). Icy what you did there, La Mimosa. Keep cool and savour traditional Italian summer days at La Mimosa, part of the new Coorparoo Square complex. These legends are open from midday to 9pm, and ‘til 10pm on Friday and Saturday nights. Despite the heat, it’ll be alright (with gelato). Words by Samantha Chariton and Kat Gridley – the gourmands who know we all have a second stomach for dessert.